The first trailer for Five Nights at Freddy’s 4: The Final Chapter has been released. I attached it below. Previous games in the “Five Nights at Freddy’s” series were set in a fictional pizza parlor, but this is not the case for this new game. This game appears to be set in a house of some sort, with lines such as “What have you brought home?” providing this. Other than this change of setting, it seems that basically everything else that has us loving this series will stay intact. The Final Chapter, which name implies is going to be the last game in the Five Nights at Freddy’s series, launches in August. Cawthon originally wanted to launch it in October, but changed his mind. He still has something planned for October 31, however.Five Nights at Freddy’s 4 will be the fourth game to launch in the span of a year, which is impressive for a game mostly made by a single person. Five Nights at Freddy’s 3 has the last one released, in March this year. 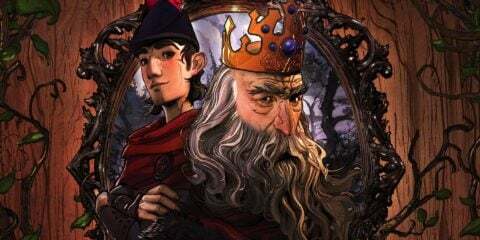 A film adaption is also in the works with Roy Lee, and Seth Grahame-Smith and David Katzenberg of KatzSmith Productions signed on as producers.